Recently, I was invited to a media preview at City Winery to celebrate the 15th Anniversary of Wine Down Main Street, an annual charity event held in Downtown Franklin to benefit Boys & Girls Clubs of Middle Tennessee. Since its inception in 2001, the event has raised nearly $1.5 million, becoming one of the organization’s most successful fundraisers. And the locals love it too; Wine Down Main Street has been voted “best charity event” in Williamson County for eight consecutive years. As part of the preview, I was able to sample some bites from several top chefs that will be featured at the main event, as well as a selection of wine, beer, and spirits from Lipman Brothers. Chef Jason La Iacona from Saffire brought a delicious beef short rib bite, served on butternut squash puree, French lentils, a bourbon-barrel aged maple vinegar glaze (say that ten times fast), and pickled radish topping. 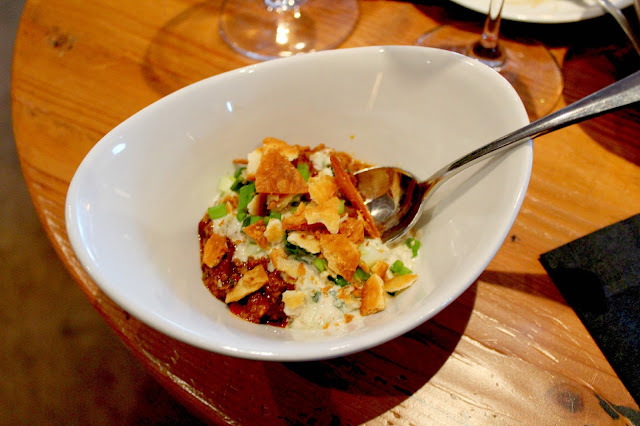 I was just at Saffire last week and had an absolutely amazing chef’s special pork ragu, which Chef Jason admitted he took home for his own dinner. I love it! Chef Kristin Beringson from City Winery offered two bites, one beef tartare, the other a beer cheese stuffed arancini. The arancini was fantastic; can you add it to the Crush Hour bites menu soon, please, Chef Kristin? I would have eaten twelve if I didn’t feel like everyone else deserved to have one. Saffire and City Winery, representing! Chef Maneet Chauhan from Chauhan Ale & Masala House brought her twist in Texas chili, a lamb keema rajma chili. It was spicy and warm, perfect for an unseasonably cold day in Nashville. I wish I could bring some home! Chef Maneet was the sweetest person to talk to (I want to keep her forever), and I am so excited for her craft brewery project, Mantra Artisan Ales, to open next month! Lipman Brothers brought some of their wine labels, which I hadn’t seen before. I sampled their Hidden Jewel wines (tasty!) and their Saturday Night Red. They also brought Old Hickory whiskey and their popular Hap & Harry’s beer. But the one that got me excited? Heroes Vodka, a veteran-owned vodka with sales benefiting AMVETS. As an Army veteran, this kind of product gets me excited, because it allows veterans to fulfill their entrepreneurial dreams while giving back to their own community and causes. Well done! This year’s event will be held on Saturday, November 7, from 7:00 – 10:00 p.m. My favorite storefronts along Main Street in historic downtown Franklin will open their doors to become wine stations; Lipman Brothers is generously offering a selection of more than 170 wines! In addition to the wine tastings, the street will be lines with bites and tastes from some of the best restaurants and chefs in Middle Tennessee. General admission tickets for the event are $85, and I believe they sell out nearly every year. There is also a limited supply of $125 VIP and $200 Premium VIP tickets. All proceeds from ticket sales benefit Boys & Girls Clubs of Middle Tennessee’s youth development program. For more information or to purchase tickets, visit www.winedownmainstreet.com. 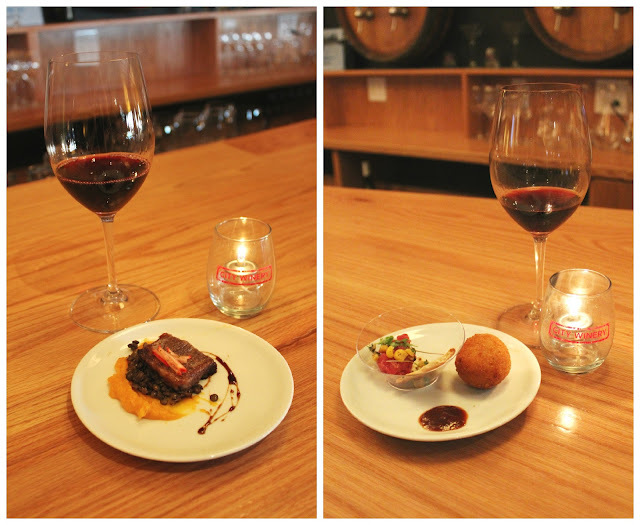 Thank you to City Winery and Bread & Butter PR for organizing the preview! The main event is sure to be great. For more than 112 years, Boys & Girls Clubs of Middle Tennessee (BGCMT) has enabled all young people, especially those who need us most, to reach their full potential as productive, caring, and responsible citizens. Annually, more than 2,800 youth walk through the doors of the seven Middle Tennessee Boys & Girls Clubs locations in both Davidson and Williamson counties. The Clubs always put kids first by providing a safe place, professional caring staff, fun and friendship, and high-impact youth development programs on a daily basis during critical non-school hours. Priority programs emphasize academic success, good character and citizenship, and healthy lifestyles. To learn more visit www.bgcmt.org or follow organization on Facebook and Twitter.